Good of you to pop in. Been a big week here at Clarity. So glad you are as chuffed as we are, to welcome Leonie to the fold. Watch this space…. Friday’s blog a private peek, right? 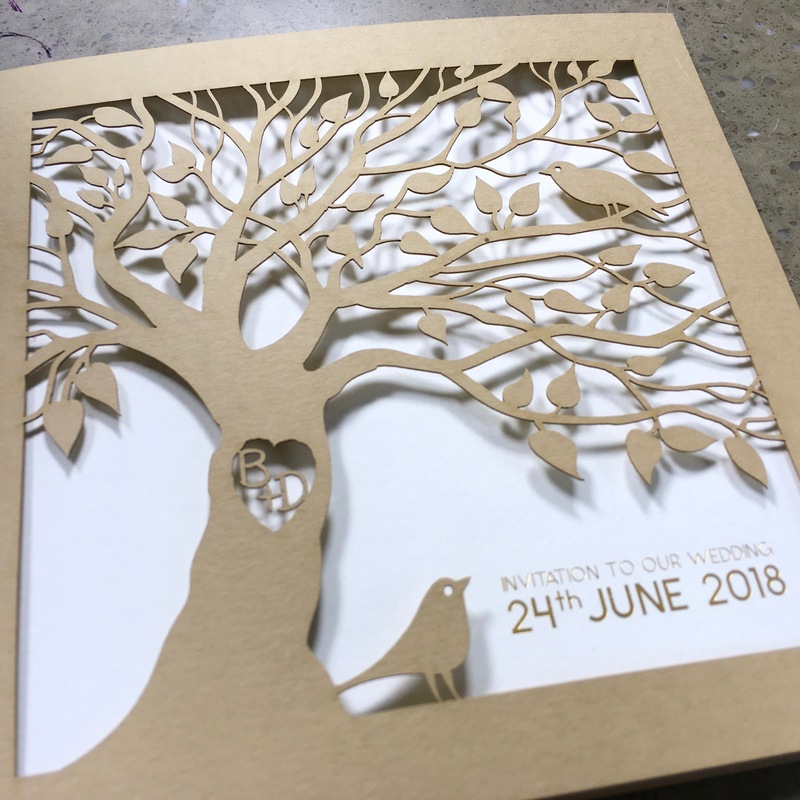 It started with a little drawing of mine, which we then laser cut out, because I do like a paper cut, but I haven’t even had time to write all the thank you cards for all the generous gifts yet, so I was NEVER going to find time to paper cut 100 + wedding invites, now was I?? Classy gold inserts, done by a friend of ours as a gift. 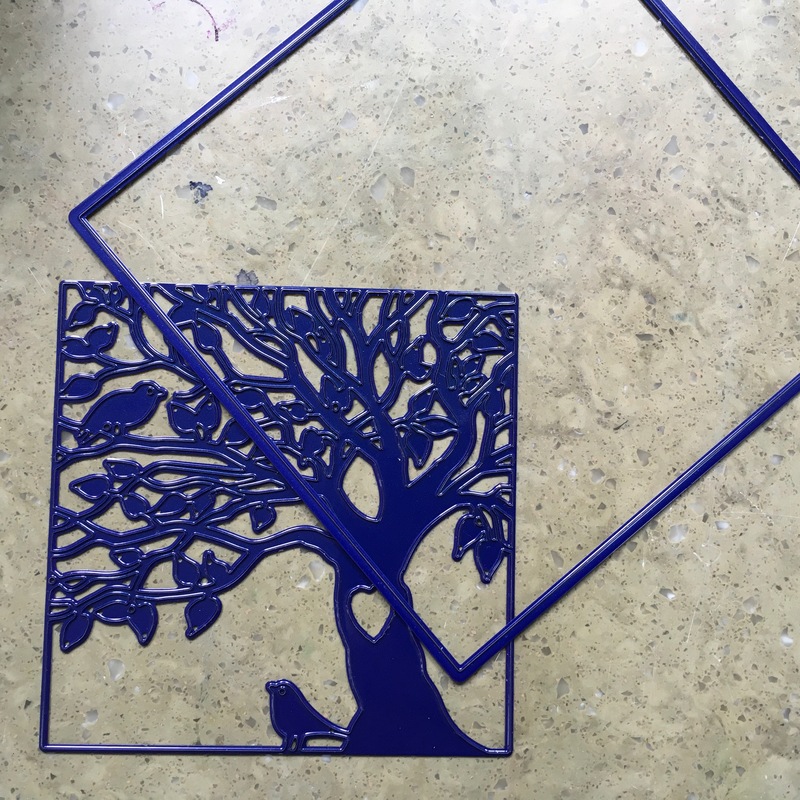 It sure is good to be in the Crafting/Printing game when you’re getting married! Mmmm…Mug next. 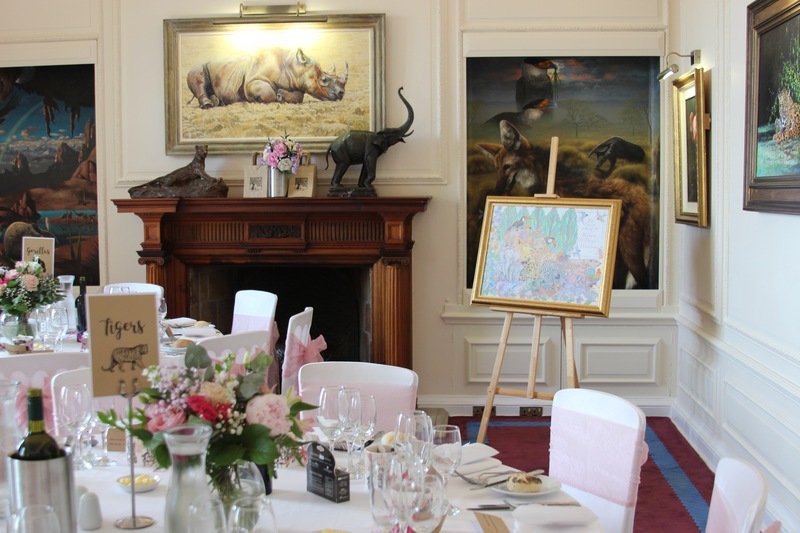 Well, we were getting married in a nature reserve, a sanctuary for endangered species, so I had an idea. 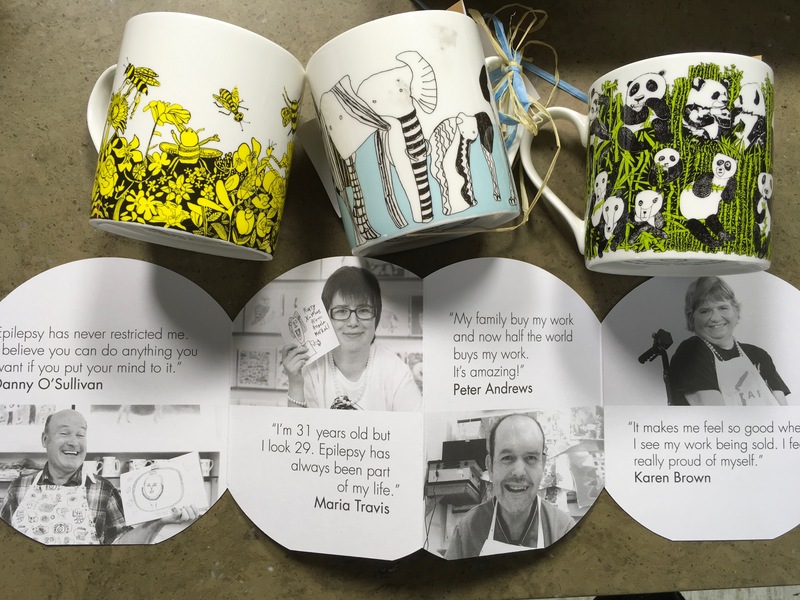 I found a company which designs magnificent mugs with animals – and even better – the artists were very special. You get it, don’t you? What a perfect Wedding Gift from us to our guests! Speaks volumes in my heart. A wedding can be such an extravagant affair, but rather than waste money on a cute gimmick, so we decided to put some real money into a very noble movement. For all the guests – both day and evening. 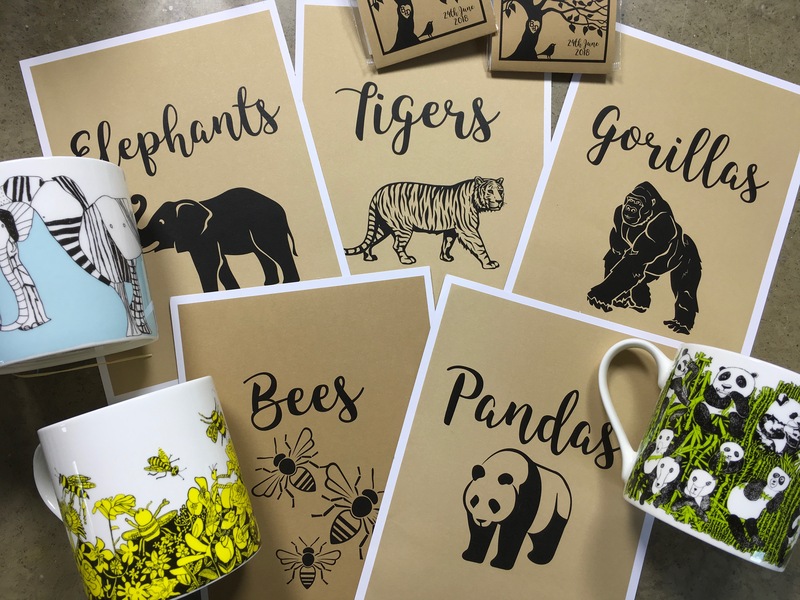 We placed an order for 5 different designs – gorillas and tigers too. Gave all the gorillas and tigers away, so don’t have any of those to show you! They were divine. So I built a theme around each table, you see? The place settings, the gift-tags – it all matched. 5 tables – 5 animals. I wrote out interesting facts about the animals on the respective table. That was fascinating to actually investigate. I enjoyed doing that. Learned loads. 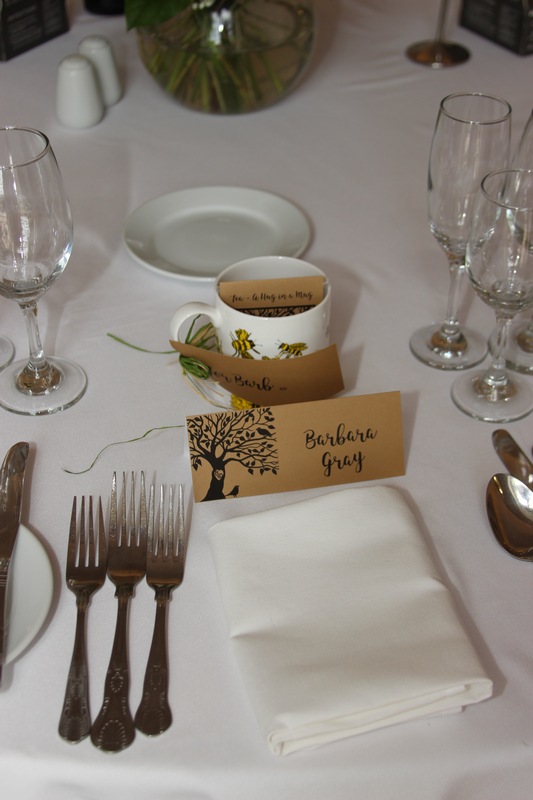 I even had a stamp made, and a date stamp, so that I could stamp up the bags for the guests to take their mugs home in. They took ages. 110 of them. One at a time. Maggie Craner made exquisite, beautifully parched wild flower seed-pouches as a gift, and they went in the bags, too. 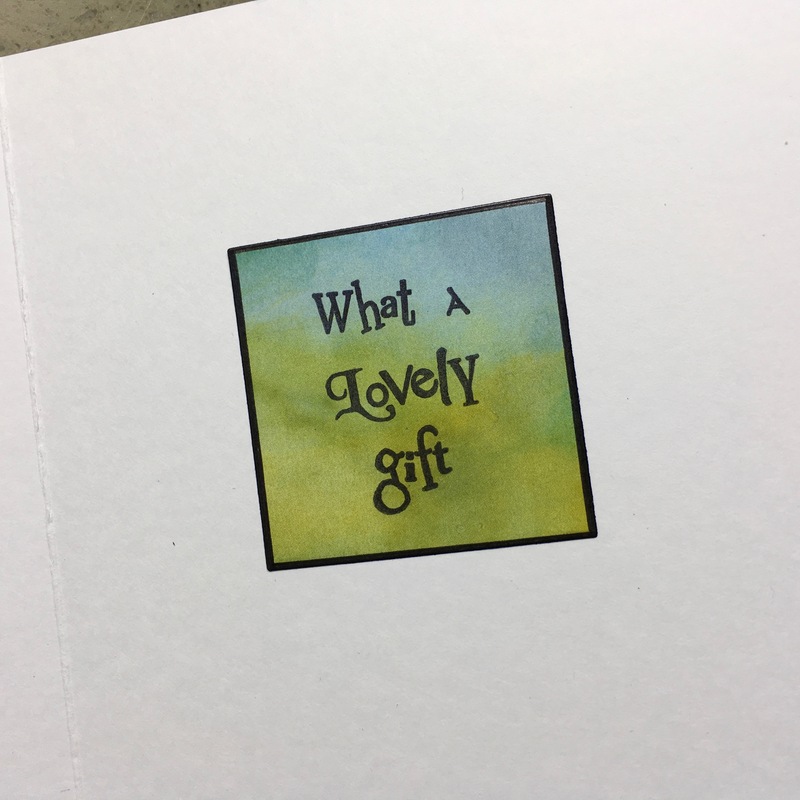 They ALL went to grateful recipients, so I’m afraid I cannot show you them – trust me: they were a delight. You can see the table setting here. Very simple. Made with love. On the back of the place settings I wrote what food each of the guests had ordered. That took some doing too !! The dining room was dressed beautifully. The love and thought which went into this book was quite overwhelming actually. And then we filled the room with love, family and friendship. Proud moment. Dad’s speech. So that’s it really. It was a lot of work, but I also got a real kick out of spending time on the individual gifts, tying the raffia, sorting out the meals for friends and family, thinking about them each while I was working, hoping they would like and enjoy. You know how it goes. Wouldn’t want to do it again mind !! But the invitation, the paper cut!! That was what brought on the Fresh Cut Dies! That was how our aperture dies were born. It all starts with a thought, doesn’t it? So lookie lookie! yay!!! 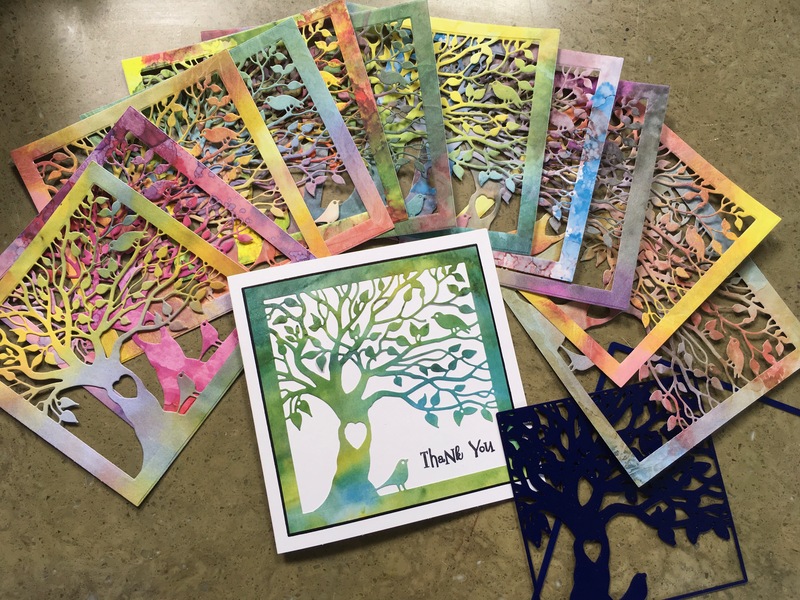 The thank you cards will be a piece of cake!!! Already on it! 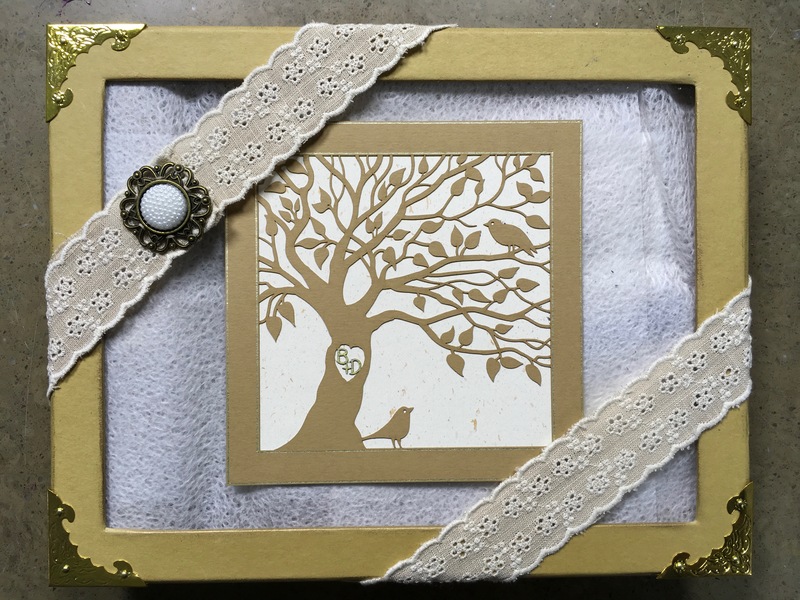 So sorry it has taken so long to send out thank you cards for the beautiful gifts. I feel awful. But we hit the ground running after the wedding. Still running actually! 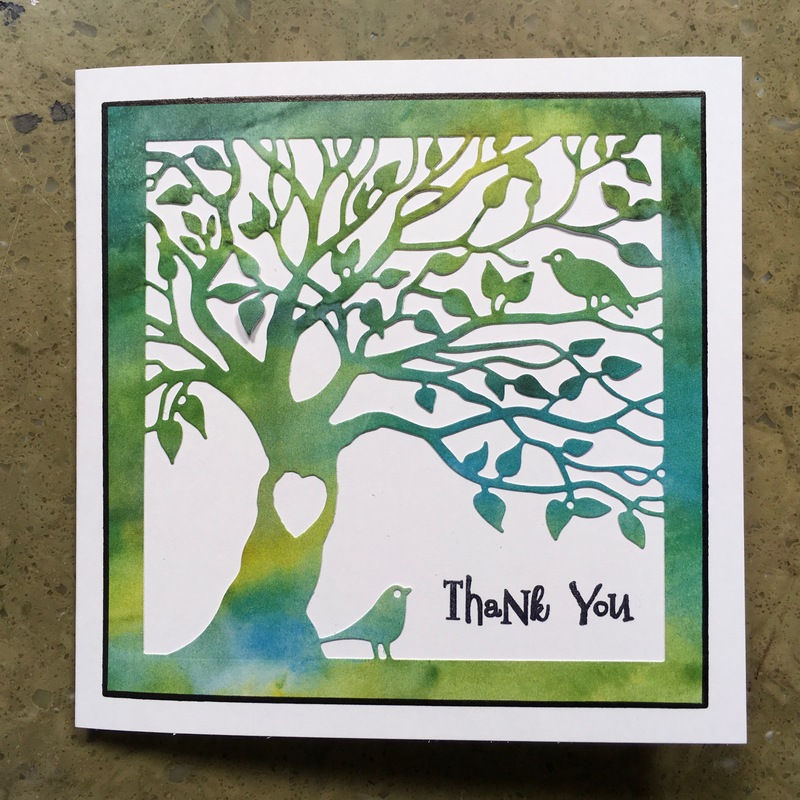 … and then I decided we needed a Wee Thank you Word Chain stamp set too, so designed one! Hahahahaha! So there we go! 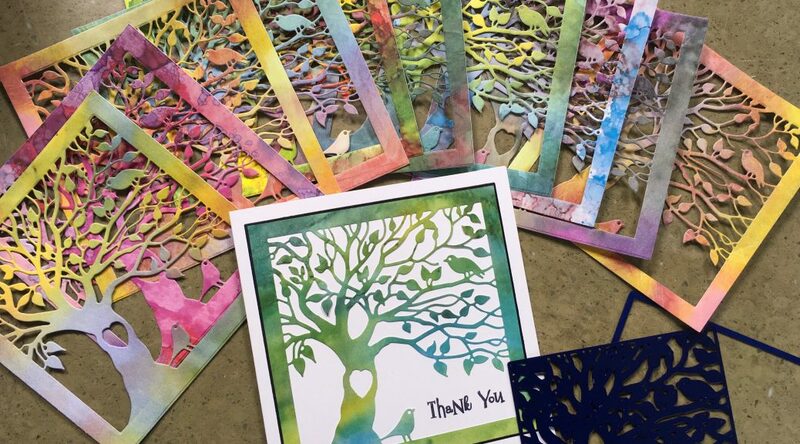 Thank you cards are in the pipeline! It may take another month to actually write and dig out the addresses, but at least I am on the bus now! And now for the rest of the story. I spoke to our Mel, showed her this design, and asked her to draw another 3 to build a set. What she came back with is pretty blimming superb. I am so excited to show you these new dies on Sunday!! I think they’re the best so far! But I seem to say that every time! Shall I show you them? Tomorrow. Tomorrow I’ll show you the other three. They are fantastic. Now I really need to get on with some prep!! I’m with you Ruth, you’ve summed up my thoughts (and tears😜)too. 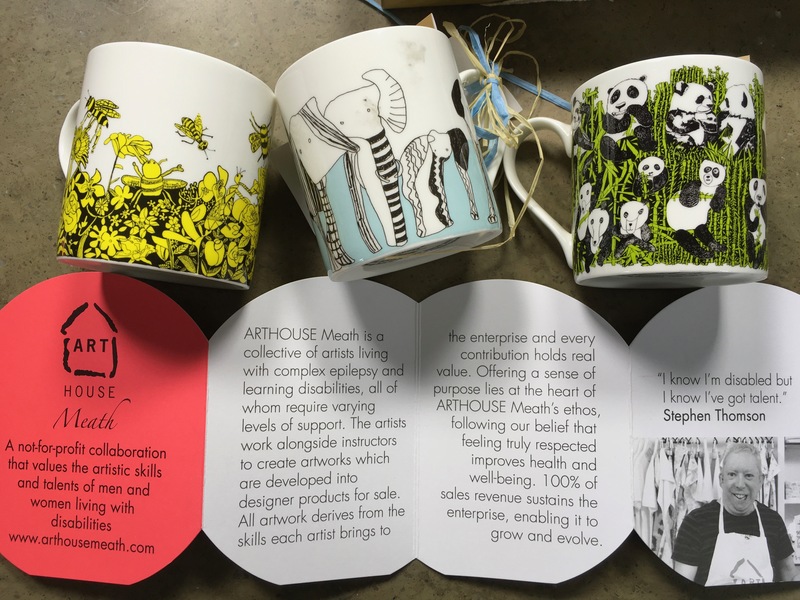 Awwww what a beautiful heartfelt blog post, equally lovely of you to highlight the Art house project, what a wonderful cause to support, I’m off to have a nosey. Lovely to read the full tale of the birth of the Fresh cut dies, going to treat myself at Leyburn, I’ve started my wishlist lol. Looking forward to the sunday shows. 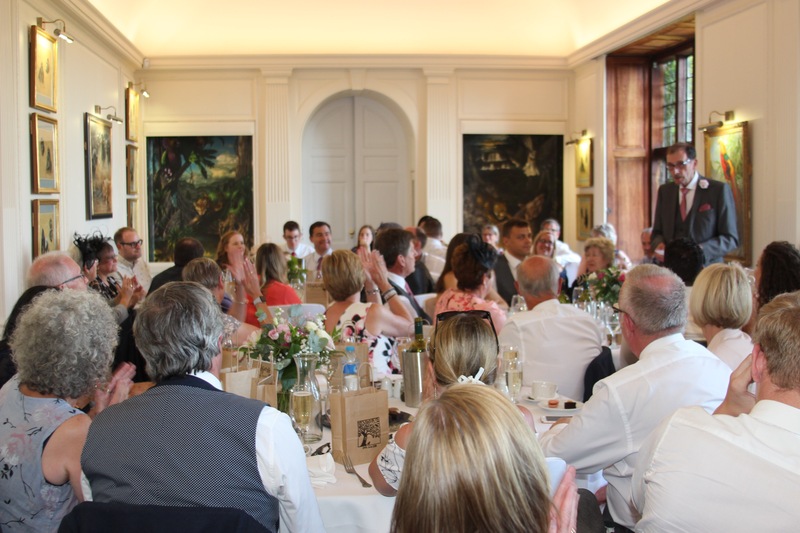 What a lovely, well thought-out wedding and thank you for letting us all have a look. My goodness Barbara no wonder you’re so tired, don’t you ever stop? 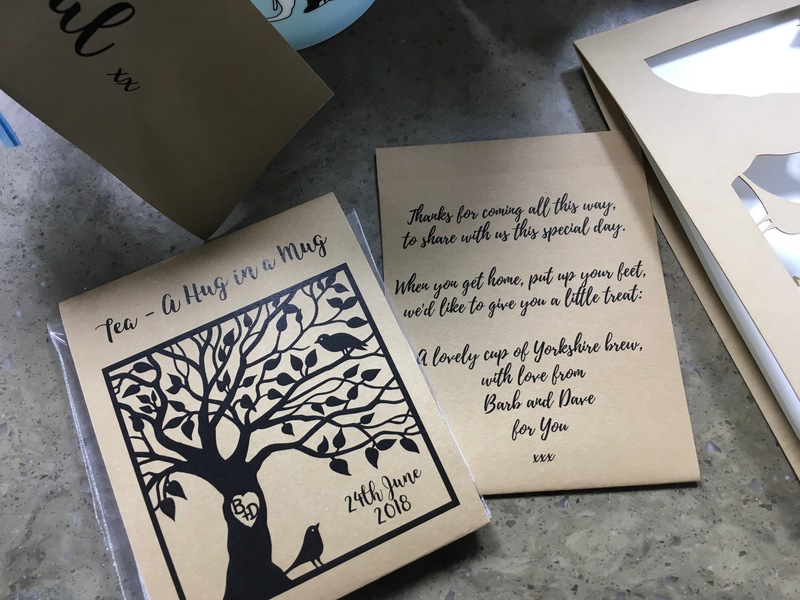 Thank you for sharing your special day, everything looks superb and I love the idea of the teabag and mug. Our son and daughter-in-law did something similar as they got married in a little tea house in Boulder Colorado. Not everyone could go so they asked people to make a cuppa and sit down when the ceremony was taking place. Beautiful in wvery sense of the word. Perfect for such a fantastic occasion and such lovely people. Can’t wait to see the rest of those dies. Wow, thank you so much for sharing! Those designs are perfect and thank you for sharing details about the Art House, I am sure that everyone will love these designs too. Dee, what a gorgeous piece of work. I am sure it, together with all the fond wishes it contains will be treasured forever. 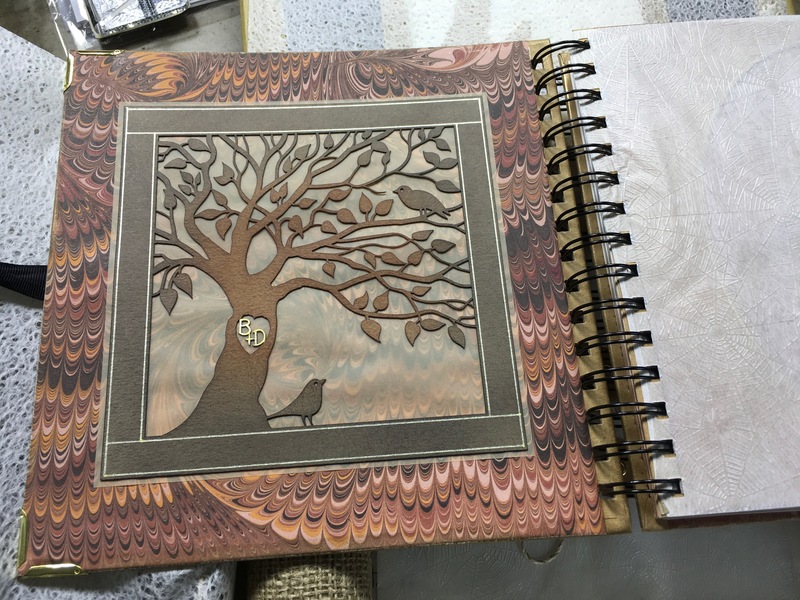 Thanks for sharing the journey of the Fresh cut dies, I spotted the 4 new ones on a banner going across the top of the web page earlier in the week. 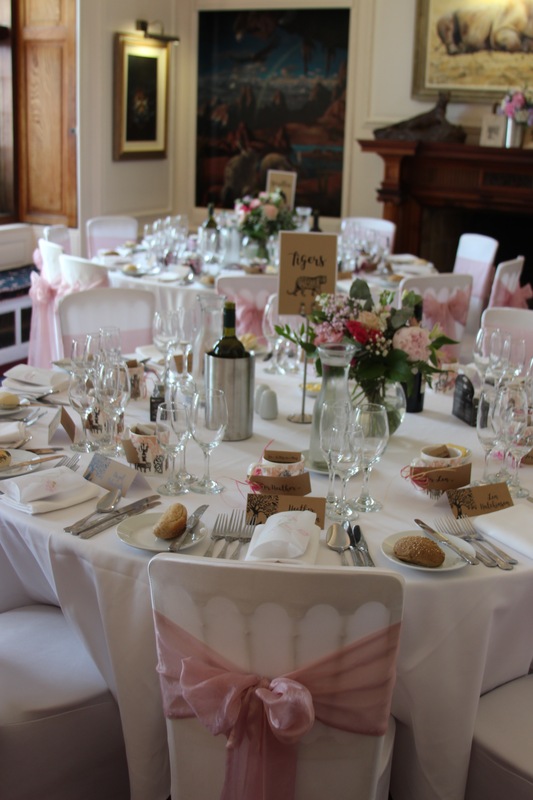 The wedding tables looked fantastic & I saw the wild flower parchment pouches that Maggie made for you in their production stage. Another lovely idea. Took me back to my sons wedding last year when they found individual quotations or verses to go on each guest’s place setting. Looking forward to the shows on Sunday, will have to record & watch later as we are having a family BBQ but no doubt the dies will be falling in my basket at some point along with the mini word chain’s. The word chains sound as if they are a need rather than a want. !! Hey Barb, can we please have the animals as Groovi plates, I just love the Gorillia……. Please, please….thanks, and have loved your blogs…. 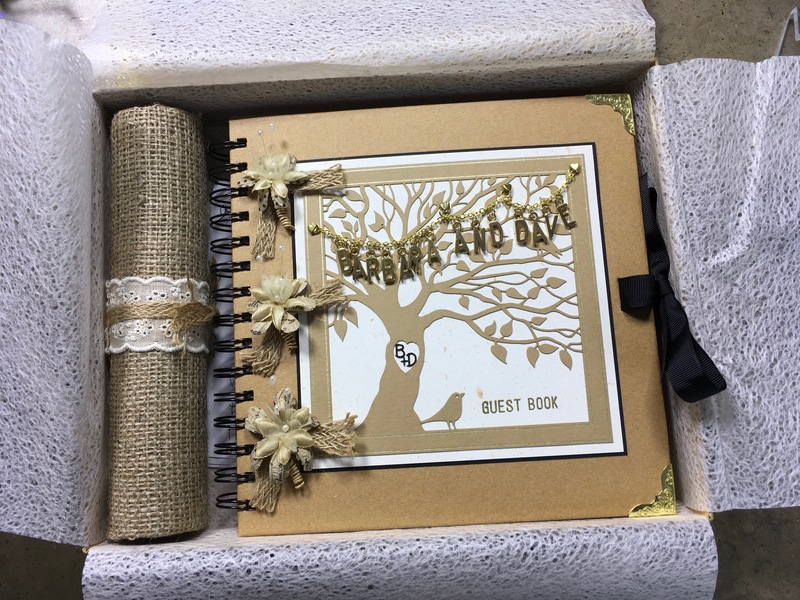 Thank you for letting us see your wedding stationery. Absolutely beautiful. Looking forward to seeing the new dies. What a wonderful wedding. Such a lot of work but well worth it. Thanks for sharing with us. I caught a glimpse of the new dies earlier and they are a must have. Any news on a die storage solution specific to Clarity? At the moment mine are on A4 magnetic sheets laying in an A4 box to keep them separate from other dies. 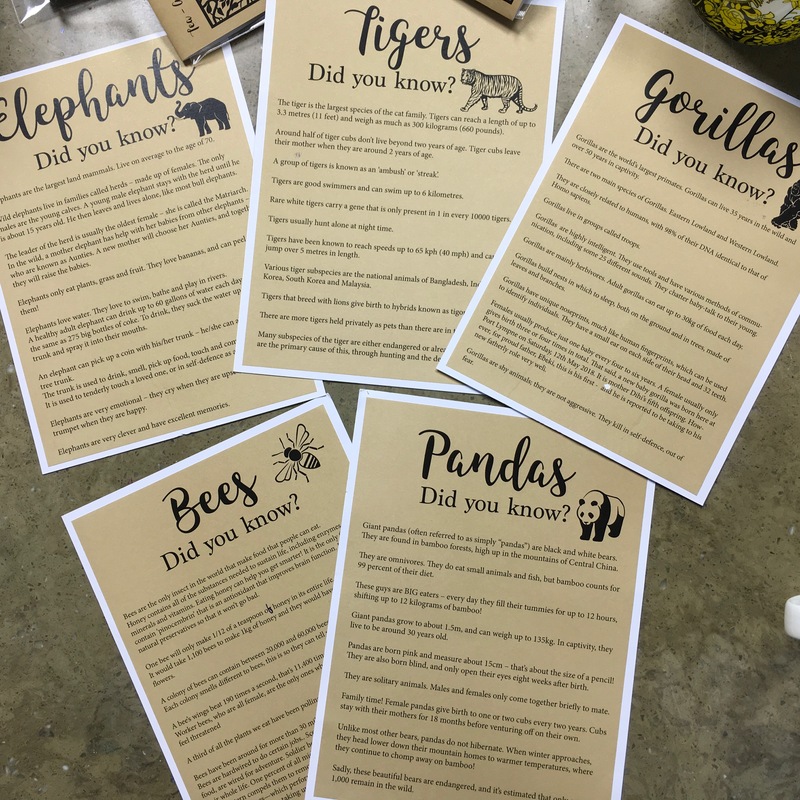 The suggestion from Janet regarding animal dies – yes please – gorilla, elephant, panda and tiger, possibly a giraffe and a lion? Have all the shows programmed to record as I don’t want to miss anything. 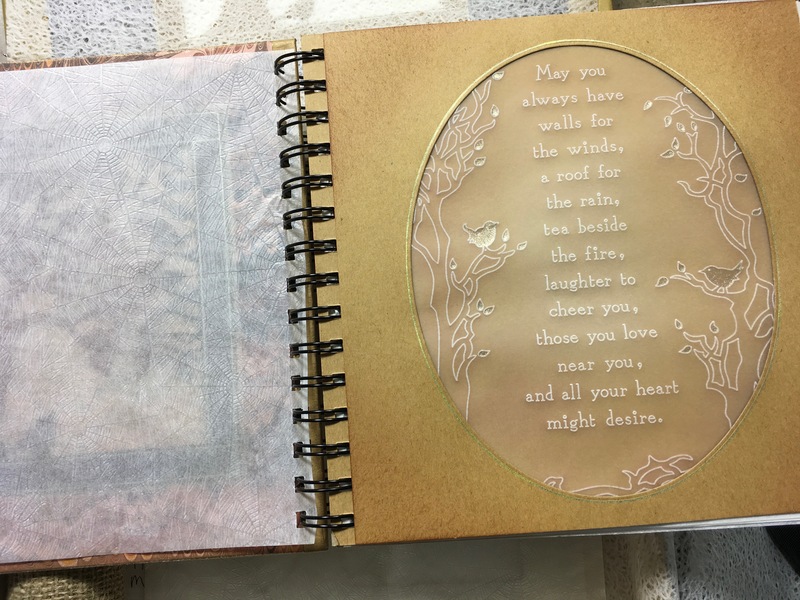 ps: these dies will also make wonderful background stencils – I’m sure you already have thoughts on this!!! Thank you so much for sharing so much of your wonderful day with us. Everything was so beautiful and thoughtful and will be a lasting memory for you, your family and friends. Thank you Barbara for sharing you wonderful adventure with us, you are such an inspiration to us all. Can’t wait for Sunday and more wonderful dies, which of course I shall have to have to add to my collection. I’m so glad you’re on at 10 a.m or I would miss the programme as I have to play bowls in the afternoon. 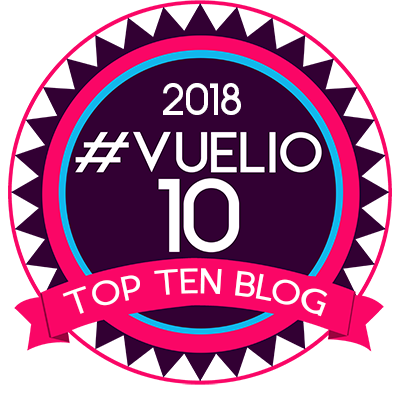 Just had to read today’s blog twice , I have to say I read your blog every day but today’s is the best not saying I don’t think the others are not good . But today really got to me , thank you for a trip of yourself and Dave’s special day. Everything was amazing, and as you say it is good to have a company that can do everything. 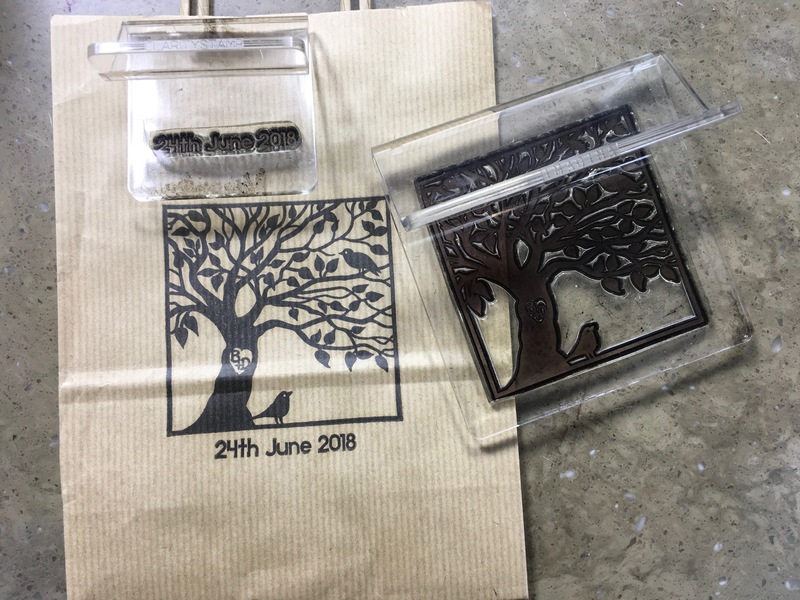 The fresh cut dies are beautiful, just love the tree looking forward to seeing the shows at the weekend and the rest of the dies. Once again thank you for a lovely blog. 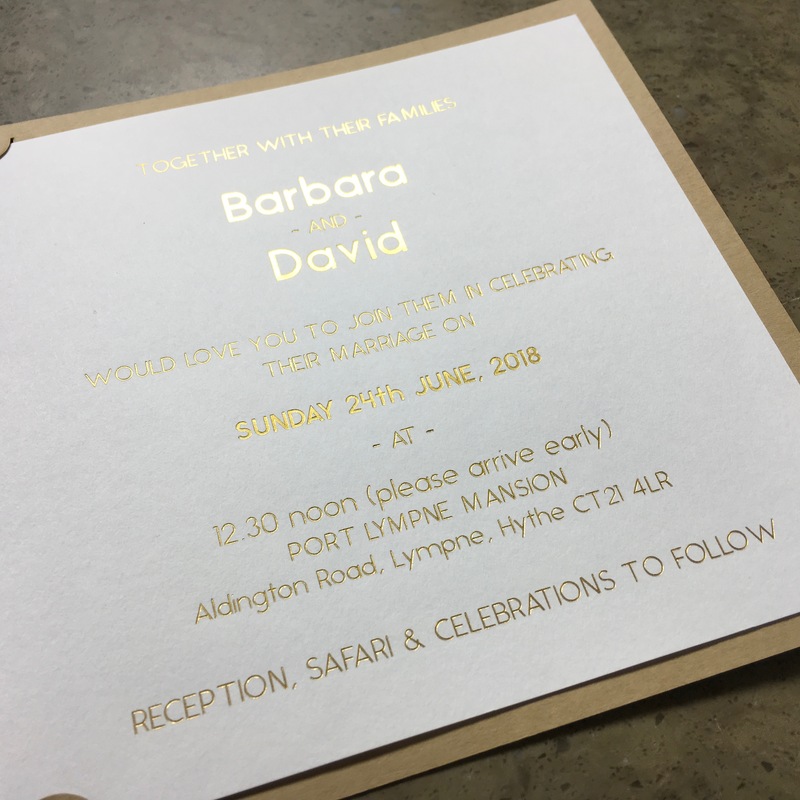 Thank you so much Barbara – for sharing all of the wonderful and thoughtful details of your special day! I knew that it would have been very special – with lots of clever and artistic details. I could never have imagined just how wonderful it all was. The new dies look amazing and I feel that I shall be making a purchase! Hi Alison – we are both ok thanks. I will be having a CT scan & Neill will be having an echo cardiogram when we get back from holiday. So we will think about that later! Packing going well – have started packing the car for our holiday to Spain, leving on Tuesday. Still haven’t seen the cake or did I miss that bit. Sometimes all the bits before and the excitement are equally as rewarding as the day itself. Thank you so much for sharing your wonderful loving wedding so much love thoughtfulness and care . You have made me cry as you really are a beautiful couple who do beautiful things. I loved the wedding favours and the way they showed how big a heart you both have. I am so excited as I love trees and now of to set TV shows to record and checking bank balance is at the ready lol! HI Barb. I agree with everything already said and thankyou for sharing it all with us. What fantastic memories for you, Dave and all your guests. As everyone has already said, Thank You so much for sharing all these special moments that made your wedding day such a success. I may not have been there in person, but I feel that I was sitting right at one of those beautiful watching all the events of the days unfold. Everything you bring to us has a little piece of you in it and that is a lovely thought to have whilst crafting.